The Hexham & District Photographic Society, working in partnership with the Forum Cinema, brings the film ‘Do Not Bend: The Photographic Life of Bill Jay’ to Hexham as a part of the 2019 Tyne Valley Film Festival, in March. Rob Halliburton, the Syllabus Secretary, has been liaising with David Nixon from the Forum, and Grant Scott, the producer, to secure the film as the Society’s recommendation for the festival. The film will be screened on Sunday 31st March at 7pm, and will be FREE for the whole community to attend. (12 August 1940 – 10 May 2009) was a photographer, a writer on and advocate of photography, a curator, a magazine and picture editor, lecturer, public speaker and mentor. He was the first editor of Creative Camera Owner magazine, which became Creative Camera magazine (1967–1969), founder and editor of Album magazine (1970–1971). He established the first gallery dedicated to photography in the UK with the Do Not Bend Gallery, London and he was the first Director of Photography at the Institute of Contemporary Arts (ICA) in London. Whilst there he founded and directed the innovative photo-study centre. Bill studied at the University of New Mexico under Beaumont Newhall and Van Deren Coke and then founded the Photographic Studies programme at Arizona State University, where he taught photography history and criticism for 25 years. His own photographs have been widely published, including a solo exhibition at the San Francisco Museum of Modern Art. His work was exhibited for the first in the UK in 2018 at the Oriel Colwyn Gallery and as part of the Brighton Photo Fringe. 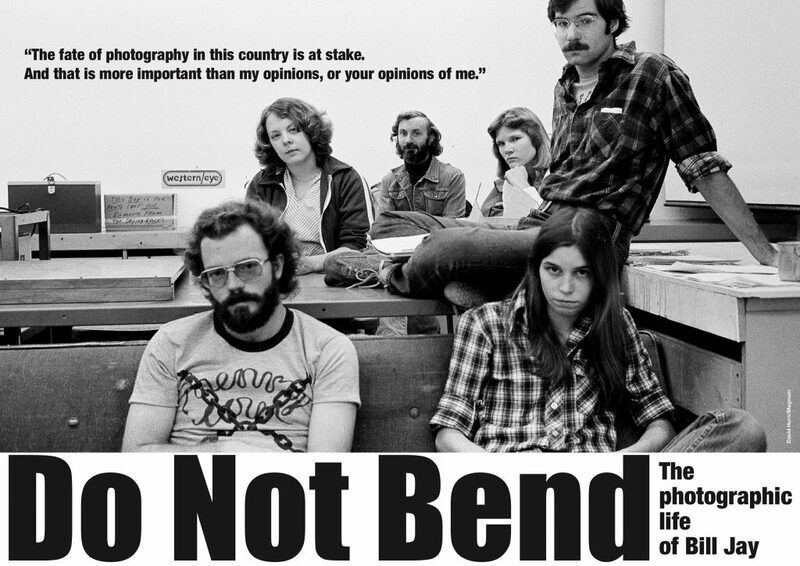 Do Not Bend: The Photographic Life of Bill Jay is a feature length documentary film created on a micro-budget by Grant Scott from www.unitednationsofphotography.com and Tim Pellatt. It was premiered at the Martin Parr Foundation in May 2018 and has been screened across the UK and USA. It includes original interviews with iconic photographer Martin Parr, Brian Griffin, Daniel Meadows, Homer Sykes, Ralph Gibson, Alex Webb and Paul Hill.